Bengaluru: Popular wisdom has it that India has always had an abundance of trained talent but has been a laggard nation when it comes to product innovation. This is especially true with innovation that is based on science and technology. We have largely been an importer of new and innovative products and solutions, and have, at best, been only somewhat successful in creating cheaper substitutes of products that were invented outside the country, through reverse engineering an innovative drug or product for the local market. The basics of economics tell us that it takes labour, capital, and access to efficient markets for a business to innovate new products. While talent has never been in short supply, India has lacked the capital allocation as well as the soft infrastructure for efficient markets that are required for innovation to germinate and thrive. It’s no surprise then that a fair number of our talented scientists and technologists look to emigrate so that they can work in environments that provide both sufficient capital and the necessary market infrastructure for innovation. Indian immigrants in countries like the US have been large contributors to the scientific and technological innovations that impact the world today. Thanks to innovations in telecommunications technology, Indians can now have their work brought to them rather than having to travel to the work. This has in large part contributed to the boom in Information Technology (IT) and Business Process Management (BPM) outsourcing that we have witnessed over the last two decades. The capital and the market infrastructure still lie abroad; all that we have been able to do is to export the skills of our labour force without having each member of the workforce board an airplane. IT and BPM services exported from India over the last 25 years have now grown to a staggering $200Bn per year. This labour export has declined in its rate of growth over the last few years, mainly due to restrictive trade practices around the world and due to the automation of many IT and BPM services which now do not need human intervention. This shift has forced Indian IT services companies to embark on a journey to build (or buy) technology products to continue to stay relevant in the world economy. Their progress has at best been slow and unsteady. While there are some select examples of successful software products made in India, largely in the core banking and finance world, these remain few and far between. Today’s market forces that create disproportionate economic growth and value have shifted to deep scientific and technological innovations. Such a shift is evident in the companies that make it to the top of the list by market capitalization in the world today. The storied product innovation at Apple Inc has allowed it to cross $1 trillion in market capitalization. Alphabet (Google’s parent company), Amazon and Microsoft have all relied on Artificial Intelligence, Data Mining, and Cloud Services in order to stay relevant and highly valued. These companies at the top are giant tech companies—many of them just about 20 years old. Meanwhile, as these innovators have made this trek to the top, a long-standing industrial giant like General Electric has recently vacated its spot in the Dow Jones Index and is struggling to stay afloat. Our romantic view of technological or scientific innovation shows a Bill Gates or a Steve Jobs or indeed a Steven Hawking toiling away in a garage in the Bay Area or in a motorized wheelchair at an English university. This view of a sudden light bulb of inspiration going off in an inventor’s head is puerile. We have billions of smartphones in use today, but they aren’t in our hands because Jobs toiled upwards through the night while his companions slept. It took many other researchers and product development specialists, government support for research and development—and, importantly, private sector support for cutting edge technology with investors willing to stake their money to produce the marvel of a miniature computer that many of us hold in our hands today. And, let us not forget that continued incremental advances are needed in order to produce breakthrough technologies. Today’s smartphone is almost unrecognizable when compared to the clunky miniature ones that came out in the early years. A further nuance in the world of scientific and technological innovation is the stark difference in the types of problems scientists are trying to solve. Some of their work falls in the realm of the “Exact Sciences” which includes innovation in such disciplines as mechanics, fluid dynamics, optics, and deep learning and artificial intelligence technologies. The other work falls in the realm of the “Life Sciences” or “Bio Sciences” which includes innovations in disciplines such as bio-chemistry, cellular biology, drug discovery and the like. This nuance was made patent by Dr. C.V. Natraj, until recently a senior research scientist at Unilever and now a member of the Society of Innovation and Development (SID) at the Indian Institute of Science (IISc). Dr. Natraj made the point by categorizing these disciplines into two different categories of innovation—one the complex, and second, the complicated. A complex innovation is a breakthrough in a process where a given set of inputs do not produce a predictable output. The human body is such a complex process. By contrast, a complicated innovation is one that provides a breakthrough where a set of inputs can produce a predictable output. An example of a complicated mechanism is a motor car, a spaceship, or an MRI machine, whereas a complex innovation is more likely to spawn a new drug or bio-chemical breakthrough. China saw this massive return yielding innovation boom coming. China, the world’s top manufacturing outsourcing destination, once wanted to compete with India to become the world’s top outsourced services nation. It has jettisoned this quest and has focused its efforts towards deep innovation instead of trying to catch up with India on the global IT services industry. So, where is India today and what lies ahead? India has long ranked low when it comes to original research and innovations that are game-changing in nature. It produces only a quarter of the research papers that China (now ranked second after the US) produces. In a count of highly cited research papers between 2012-2016, India had 989, US 15,000 and China 7,213. But the number of citations is only one isolated metric when it comes to understanding the impact that research can have. In 2016-17, just one US company (Qualcomm Inc) filed 1,840 patent applications; more than twice the total applications filed by the top laboratories in India (50 labs under the Defence Research and Development Organization, 40 labs of Indian Institute of Science, 23 Indian Institutes of Technology and 6 research facilities under the Indian Space Research Organization). The Indian government has woken up to this fact and in recent years, has supported fast growth in the science and technology startup ecosystem by setting up several incubators and accelerators. High quality talent tries its hand at entrepreneurship and there is generous financial support from the government for the commercialization of scientific research. India now ranks third among global startup ecosystems with more than 5,000 startups with over 1,000 new additions in 2017 alone. And it is projected to have 10,000+ startups by 2020. Meanwhile, there is a high level of venture capital activity in sectors outside pure technological or scientific innovation. Venture funding is now a crowded space, and at last count, over 450 distinct Alternate Investment Funds (or AIFs) have been registered with the Securities and Exchange Board of India (SEBI). These firms have raised committed capital of ₹1.65 trillion as of 31 March 2018 and have deployed ₹61,400 crore from this corpus. Unfortunately, however, very few of these AIFs focus on deep scientific or technological research. Most have been set up to pursue consumer internet, e-commerce, aggregation plays and consumer-services oriented business models. However, recent analyses indicate that startups focused on areas that are directly linked to scientific and technological innovation are on the uptick. For instance, over 1,000 ventures were set up between 2012-16 just in the biotech sector. The sector has created more than 3,000 entrepreneurs, one-third of whom are women. The health-tech sector has seen capital deployment grow from $62 million in 2010 to as much as $333 million in 2017. There has never been a more exciting time for India’s Artificial Intelligence (AI) and deep tech startup ecosystem. The AI industry in India is currently estimated to be $180 million in revenues with about 30,000 AI professionals in India. Startups are also playing a key role in transforming agriculture, which still accounts for at least half of India’s workforce, but only about 13% of the GDP. New fronts are opening up in terms of precision farming, hydroponics and the usage of drones. Despite this growth, save some small exceptions, corporations have yet to truly support the country’s research and innovation bases. There is little sizable investment in research and development, and very few strategic buys where an Indian company buys out a firm solely for its patents and Intellectual Property (IP). Neither is there a concerted effort by Indian industrial houses to truly support research at Indian academic institutions, or to fund startups that may one day greatly contribute to their bottom line. This is made starkly evident by the fact that the people who run incubators have to go after corporations to access their “Corporate Social Responsibility” or CSR monies rather than their investment monies. Ask CS Murali, chairman of SID at IISc, which currently incubates about 22 startups. SID is now already working on a plan to open a research park at its Bengaluru campus in the next three years that will scale up its current incubation capacity tenfold. All of these startups qualify as deep science/tech given the cutting-edge patentable solutions they are creating. SID also adds a criterion that impacts a startup firm’s selection into the incubator—the firm should have potential for social impact. For example, one of SID’s startups, Open Water, converts any contaminated water (not just tap water) into potable water using a novel technological process that does not rely on filters and membranes or reverse osmosis, as most of today’s available solutions do. Originated from SID at IISc, Bangalore, PathShodh has developed a novel, miniaturized biosensor device that monitors diabetes and helps in early detection of chronic kidney diseases. This is a venture that has leveraged government grants for its progress. One of the few companies in the bio sciences space that has raised rounds of venture capital funding. It has emerged as one of the promising biotechnology startups, backed by an adroit clinical expert team. 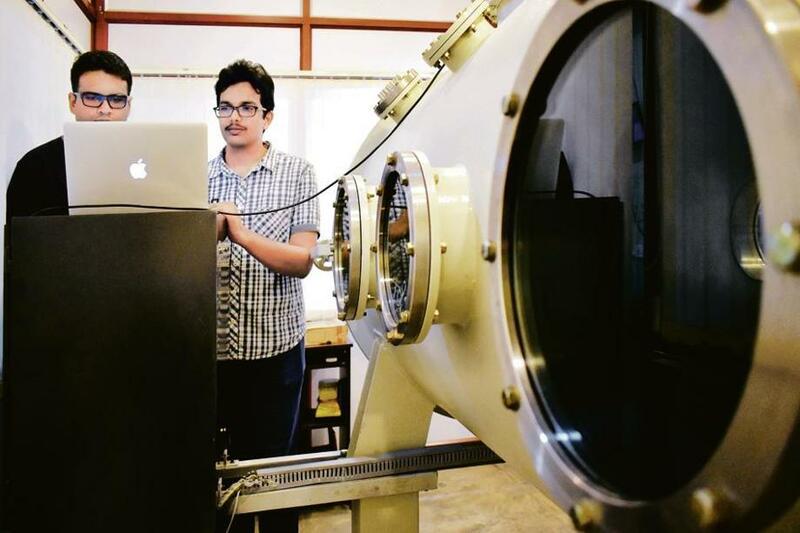 This SID (IISc) incubated company is working on advanced satellite propulsion systems. The firm fosters technologies in electric propulsion, new generation propellants and propellant chemistry, including the use of water as a fuel. This company builds unique imaging technology that allows users to interpret the environment around them. 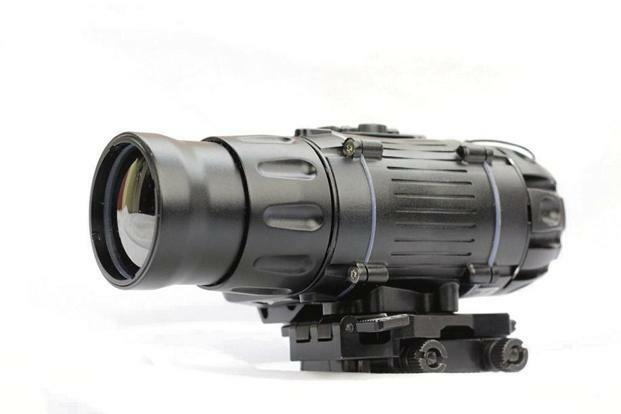 Its multi-sensor imaging products/systems are useful for military, security, transportation safety and industrial inspection applications. Siddharth Pai and Dinesh Goel are partners at Siana Capital, a venture fund management company focused on deep science and tech in India.